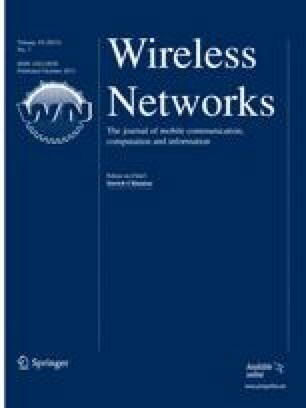 This paper describes a reservation protocol to provide real-time services to mobile users in an Integrated Services Packet Network. Mobility of hosts has significant impact on the quality of service provided to a real-time application. The currently proposed network system architecture and mechanisms to provide real-time services to fixed hosts are inadequate to accommodate the mobile hosts which can frequently change their point of attachments to the fixed network. Mobile hosts may experience wide variations of quality of service due to mobility. To reduce the impacts of mobility on QoS guarantees, a mobile host needs to make advance resource reservations at multiple locations it may possibly visit during the lifetime of the connection. The currently proposed reservation protocol in the Internet, RSVP, is not adequate to make such reservations for mobile hosts. In this paper, we describe a new reservation protocol, MRSVP, for supporting integrated services in a network with mobile hosts.